Sri Lanka's navy Tuesday detained 90 people illegally travelling in a trawler bound for the French territory of Reunion Island in the Indian Ocean, a spokesman said. 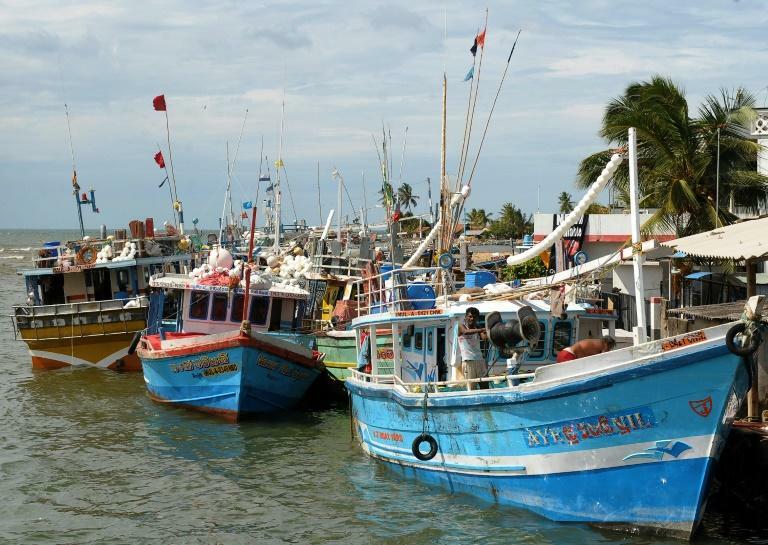 Commander Dinesh Bandara said the fishing boat was seized off Sri Lanka's west coast and was being escorted to Colombo with 89 men and a woman on board. "Preliminary investigations suggest that the boat was heading to Reunion Island," Bandara told AFP. "From there, they may have planned to move to another destination." Sri Lankans are known to pay thousands of dollars to people smugglers to arrange highly risky boat rides to Europe, Australia or New Zealand in search of better economic prospects. However, the number of would-be emigrants leaving the island has drastically declined since Australia in 2013 closed its borders to illegal boat people with a military operation and zero tolerance policy. Canberra's hardline immigration policy sees asylum-seekers who try to reach Australia by boat processed in offshore compounds on Nauru and Papua New Guinea, with over 30 boats turned back since it began. In May, a group of 131 Sri Lankans were stopped by Malaysian authorities as they tried to head towards New Zealand by boat. All were returned to Sri Lanka to face prosecution for illegally leaving the island.